Having been a Marketing tags implementation and tool integrations specialist for 3 years, I encountered the mentions of different AdTech and MarTech platform tags like Floodlight, Mediaplex, Bing Ads, Facebook Pixels, Hotjar, Crazy Egg etc., As my core focus was implementing web and app analytics tags using Tag Management tools, implementing the tags of other tools was part of scope. This involved leveraging of DataLayer where needed with basic understanding of what each tools meant. Understanding of the entire Digital marketing ecosystem beyond just web, app analytics and experiments tools helps in Tag implementation and maintenance efficient. Understanding the ecosystem becomes easier if the AdTech and MarTech can be visualized correctly. AdTech tools are used for advertising on paid media channels like search, display, video or social media. These tools have to be integrated and used for an effective Digital marketing program. This will enable access to many data points and allow specific targeting of audiences. Simple way of understanding the ecosystem is to position website/app as the core, where conversions happen. AdTech tools bring new visitors or returning targeted visitors to the website/app while MarTech tools help in on-site or in-app activities. These tools are integrated and instrumented via tags, API and custom file uploads as a part of Digital Marketing. AdTech stack has a data flow between its components that will help in understanding the marketing stack better. It can be understood in the forthcoming blogs of this series. In the previous post of this series, you got introduced to what A/B testing is. Before we deep dive into the A/B testing, It is important to understand few factors to be considered for successful experiments. In this post, you will understand about the culture needed to encourage testing and an intro to the process of A/B testing. The key to run an A/B test is to foster the culture of experimenting and to discipline a process to test. Experimenting and executing tests needs a culture that encourages it. In a talk (video) by Hazjier, Global Head of Strategy at Optimizely, he measures this culture on a scale of “Freedom”. This refers to the level flexibility and liberty teams have to experiment. The following image explains 3 different levels of freedom. While the levels of freedom cannot be compared because it depends on the company policies and processes, it influences the number and type of tests that can be tried. He quotes Booking.com , a travel company we are familiar with, as an example for the high level of freedom. It tested the brand names “booking” and “booking.com” to decide the better converting name! It should test and solve your real problems. A nice example is highlighted in the talk quoted above. A shirt brand tested a male model with different level of beards to be featured on the website. The Beard 6 variant drove more than twice the conversions by the Beard 1 variant. However, this result cannot be applied across the website as it might not become interesting and users may not click on them. Hence, the problems or hypothesis you test must be prioritized based on the impact of its result. The A/B testing has to be run as a scientific process. The results needs to be statistically concluded. The statistical significance makes sure the results are fair covering all scenarios like null hypothesis and the factors affecting users browsing behavior. The A/B testing process involves the following 6 steps. This is a common framework that can be adapted and modified with additional steps if needed. Every step in the process requires certain tools, team work and thought process. Each of these steps will be detailed out in the forthcoming blogs of this series. A/B testing is comparing two versions of a web page, button, hero image, newsletter or any component and compare which performs better. The decision is made using goals to compare against each other. The variation with better goal conversion wins. Multivariate testing is the process of testing more than 2 variations of the component. This blog by Kissmetrics is an interesting post on A/B and Multivariate test – blog. While the goals is very important to decide the winner, the component that will be tested is also equally important. 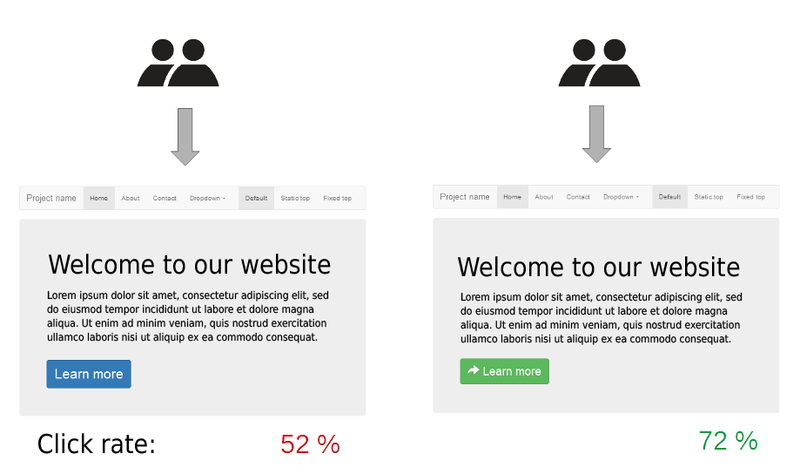 This post is kept to be a simple intro to what an A/B testing is. This will be followed by posts on the A/B testing process, Implementing the test, Stats and factors involved in deciding the winner and few case studies from prominent A/B testing tools in the market. Having mere presence in social media makes no sense to a brand. It is just a waste of productivity and human resources involved behind it. Any organization must have a Goal and Target with respect to its presence in Social Media. Goal: This is the brand’s desired end point. For example, Increase net new transacting customers. Target: This is a specific value set to the goal with a finite time frame. For example, 100 net new customers in next 2 months. Once, the goal and target is fixed, then the strategy and tactics should be identified to achieve the target. Strategy: A strategy is the plan designed to achieve the goal/target. For example, considering above set goal, the strategy is to Use Facebook to increase reach and prospect to customers. Tactics: This is the way with which strategy will be carried out. For example, the above said strategy is implemented by providing a discount on 1st purchase of all new connections on Facebook and another discount on second purchase for whoever shares the offer post in their timeline. So, Its always a good practice to first set goal, target and then turn to social media with a strategy and tactics to execute it. In this way, the social media team also get a clear picture about their task. Hence, productivity can be ensured! 1. Sales : Ultimate need of any organization is to sell. Make Money. Social Media helps in selling – directly and indirectly. But the point to be considered is, if you focus on selling by being social (in social media), it is going to be very tough. You cannot sell easily being social. But, Social Media can help in driving sales. People can recommend and influence their network to decide on buying your product. Reach, engagement and influence – the three factors to make social media help the organizations sale. Dell is a very early adapter to this strategy and has been very successful till now. Constant real-time feedback from customers and general public. 3. Human Resources : When recruiting, one can go through piles of applications or hire through trusted network of peers and colleagues. LinkedIn is the best example which can be quoted here. It has evolved a lot. Recruiters can easily search for people of certain skill set. People can upload their resume, connect to blog, get recommended, join groups, follow companies and many more. from the organizations end, it becomes much easier to find and evaluate a profile for certain position. 4. Public Relations : PR is another area where social media can help an organization significantly. With the ability to keep track of all mentions of the organization, any negative mention taking a hit on reputation can be immediately looked into and responded. Similarly, deliberate attacks or false rumors can also be sighted and addressed quickly! This is called Online/Digital Reputation Management. Crisis Management can also be very well handled in the same way. 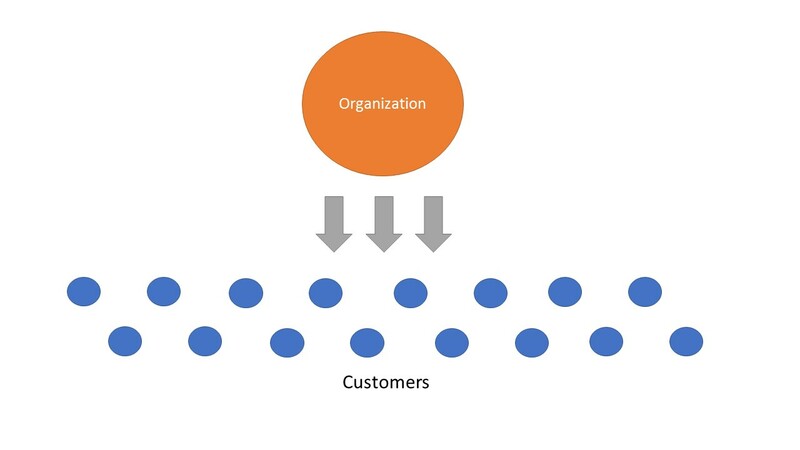 5. Business Intelligence : Again, with the power to monitor all the conversations happening online in social media, it enables the organization to identify new trends, customer expectations around a product or domain and make decisions based on that. Also, competitors can be easily monitored and compared to make certain decisions too. The above mentioned are the business functions for which social media analytics is most commonly used. Any company or brand which has been successful in it’s social media campaigns or other plans, should have put in lot of efforts behind the scenes. Social Media enables people to connect with rest of the word easily, conveniently, meaningfully and in their own terms. Back in olden days, businesses treated customers as friends. The more a customer is welcomed and pampered, the more customer continues to make business and also recommended it to others. Customers were greeted by name on Over the days, this started fading. And now, again, social media is enabling businesses to get back to that style. It helps brands to get into one-to-one conversation with a large scale of customers. Social Communication: Social Media is an infrastructure which enables social communication. People share videos, photos, talk, like, express opinions, post thoughts etc on social media. This what people do with social media. And, this activity and interaction is called social communication. Social Media Program: A social media program planned by any organization cannot be just a marketing plan or blogging. The purpose cannot just be conversation or engagement. It is a force-multiplier. It helps in amplifying any PR or advertising plan implemented by the organization. It can help in providing instant feedback from customers. It also helps in collaboration with customers. Be it Lead generation , Customer retention, Crisis management or Trend identification , a social media program can fit into any need of the organization. Engagement: Initially, communication between brands and audience was one way. The brand would send a message to audience. The audience would either accept or ignore the message. If at all company wanted to hear from audience, it was through comment cards or customer service. Then, during early Web 2.0, the online experience became more collaborative and user-centric. Blogs, Forums, Comments in websites enabled customers to talk louder and mostly direct to the organization/brand. Customers started feeling the strength of their voice. So did the Organizations. Finally, now, social media platforms enable not only communication between organization and customers, but also between customers! This people to people communication has opened the doors to lots of opportunities and challenges for the organizations. On communicating within themselves, people discuss about a brand/product and share review about the same. This influences others in their decision making towards this brand/product. This is called the word-of-mouth. This channel also knows no geographic barrier. It cuts across the globe! This word-of-mouth has to be positive and should be earned by an organization. And, this is why every brand should integrate Social Media into it’s business model and engineer its success in the same.